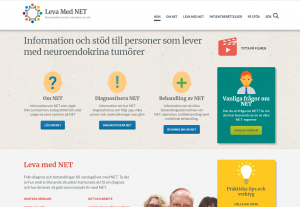 Kanga has supported Ipsen Pharmaceuticals to launch Levamednet.se , the fully localised Swedish version of the global Living with NETs site, the support resource for patients with neuroendocrine tumours. Developed with patients and healthcare professionals this service addresses the needs of patients throughout their journey, from early symptoms through to diagnosis and living with the condition. Many patients with NETs live successful lives on treatment, and LivingwithNETs aims to support them in this.